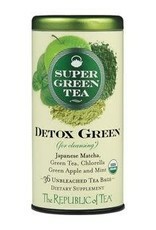 For thousands of years, people have sipped green tea to stay healthy. When ground into a fine powder, green tea leaves transform into matcha, and all those incredible mind-body benefits multiply. We've blended both premium Japanese matcha and green tea leaves with powerful herbs for a healthy, flavorful, smooth-tasting infusion. Nourish your body from the inside out. 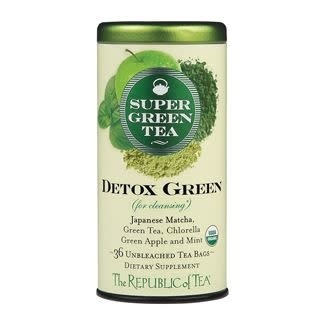 This sweet, minty, green tea blend does all of that and more. With matcha and chlorella, this infusion delivers antioxidant benefits that are too good to ignore. Chlorella also promotes healthy digestion and is one of the most nutrient-dense superfoods. * With a green apple and mint finish, it is delightful on the palate.